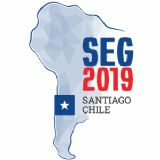 The Society of Economic Geologists, Inc., (SEG) is an international organization of individual members with interests in the field of economic geology. The Society's membership includes representatives from industry, academia, and government institutions. Annual conferences, field trips, short courses, and publications ensure an active communication of economic geology-related concepts within the membership and with the economic geology profession at large. An individual may apply for membership as a Fellow, Member, or Student Member.